If it’s been a while since you’ve been on a bike or you just want to freshen up your bike street skills, be sure to stop by October 10th for a hands on demo of Link Dayton – Dayton’s bike share program. Click here for more information about all the activities taking place at the first-ever Be Well • Live Well • South Park Event. 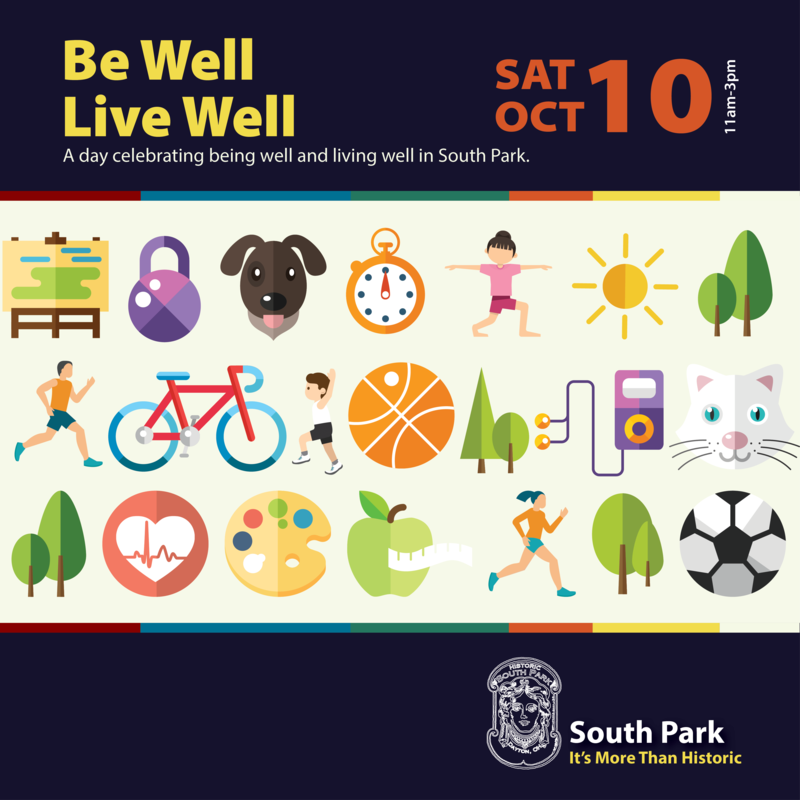 What: A day celebrating being well and living well in South Park. Be sure to checkout this free event!